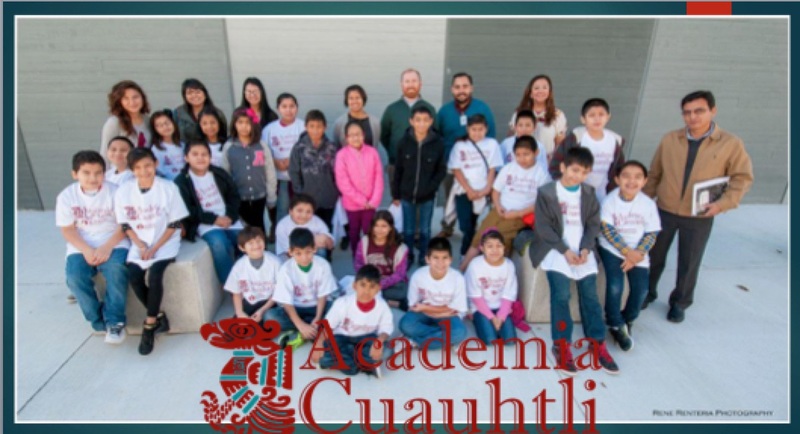 We are so blessed to have the ESB-MACC as the home for Academia Cuauhtli (a Nahuatl word that means "Eagle Academy"). To learn more about us, check out on YouTube our KLRU/PBS video: “Academia Cuauhtli Works to Bridge History with Language,” May 1, 2015 (view below). Founded by "Nuestro Grupo" (meaning "Our Group"), our community-based organization of which I am one of the founders, we serve 34 fourth-grade, Title I, Austin Independent School District (AISD) students that attend Sanchez, Metz, Zavala, and Houston elementary schools located in east Austin. We have just begun our third year as a partnership- and community-based Saturday academy. Conceptualized as a cultural arts and literacy project that seeks to revitalize young children’s heritage language and culture, Academia Cuauhtli offers a highly collaborative, research-based, co-constructed Mexican American Studies curriculum in the areas of migration history, civil rights, cultural arts, Indigenous heritage, and local history—including the Tejano Monument located on capitol grounds, Mexi-Carte, La Peña, Alma de Mujer at Lake Travis, and the Alamo in San Antonio, Texas. This is not a charter school, but rather a formal, three-way partnership between the City of Austin’s Emma S. Barrientos Mexican American Cultural Center (ESB-MACC), AISD, and Nuestro Grupo (see complete list of individual and organizational partners and sponsors below). Whereas we "only" serve 34 students in grades 4 and 5, up to 45 percent of our curriculum is available district wide in grades 3, 4, 5, 6, 7, and 11 in both English and Spanish. We intend, of course, to develop more curriculum in other areas, as well as to prepare more district—especially bilingual and dual language—teachers to teach it, but we need resources to do this. We are embarked this year in exactly these conversations with potential funders that can help us accomplish this and more. We envision, for example, a bilingual dual language teacher professional development laboratory for teachers district wide at the ESB-MACC. As researchers, we've further created a research space that we ourselves can study and develop scholarly articles that speak to the positive impacts, as well as the challenges we face, in developing a commuity-based, culturally-relevant curriculum. I cannot exaggerate how rewarding it is for us to do the work that we do in and with our community and district, and most especially, our children, whose faces are lit with the kind of curiosity and satisfaction that comes with a curriculum and pedagogy that honors their experiences, cultures, and identities where the Spanish language itself is honored. We don't "teach the language," Rather, we teach in the language with highly prepared veteran and novice teachers that know exactly how to offer pedagogy to children with diverse linguistic capacities in both English and Spanish. Thanks to everyone in Nuestro Grupo for staying the course, as well as to all the individuals and organizations that contribute—or have contributed—their time to this over the years. On behalf of Nuestro Grupo, I am happy to say that this is a dream come true. Like us on Facebook: https://www.facebook.com/AcademiaCuauhtli/ and enjoy the video! • Valenzuela, A., Zamora, E. & Rubio, B. "Academia Cuauhtli and the Eagle: Danza Mexica and the Epistemology of the Circle"
• Valenzuela, A. 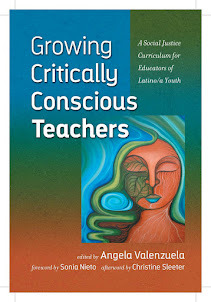 (2016) Growing Critically Conscious Teachers: A Social Justice Curriculum for Educators of Latino/a Youth. NY: Teachers College Press.